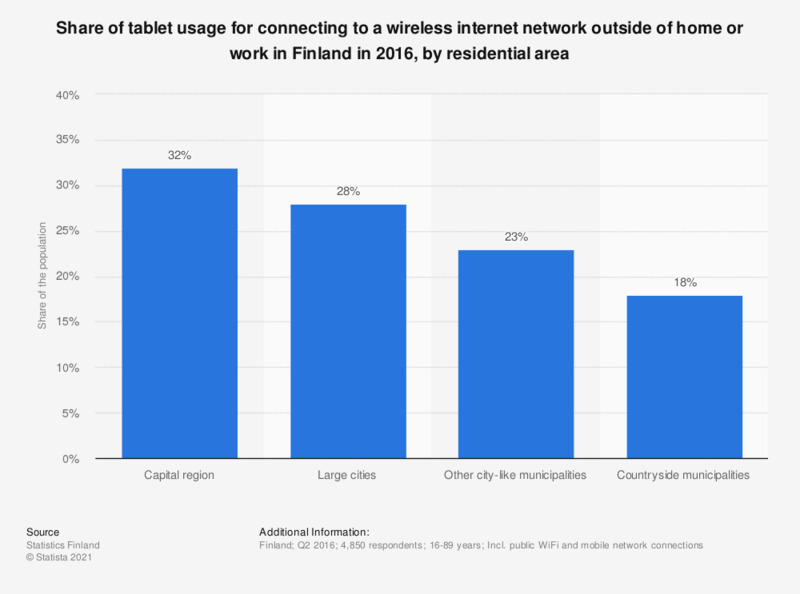 This statistic shows the share of tablet usage for connecting to a wireless internet network outside of home or work in Finland in Q1 2016, broken down by residential area. During the period under survey, 32 percent of people in the capital region used a tablet for connecting to a wireless internet network outside of home or work. According to the source, the survey data was collected in Q2 2016 and the figures refer to all connection types (mobile and public wireless internet networks) in Q1 2016. Statistics on "Travel and tourism in Finland"